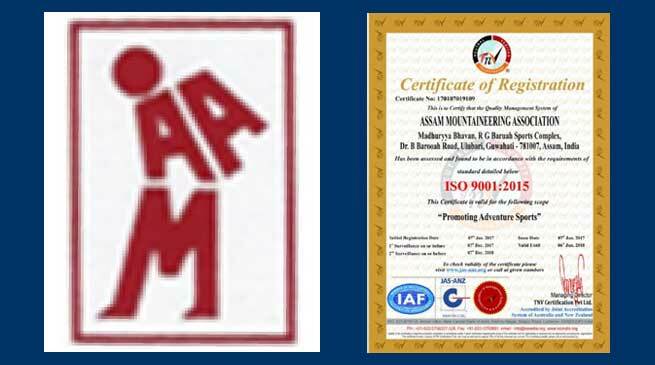 Assam Mountaineering Association, the pioneer of Adventure Sports in the North Eastern Region is qualify for the ISO 9001:2015 certificate. Assam Mountaineering Association, is in this field since the year 1968. It may be mentioned here that during the existence of last 48th years of Assam Mountaineering Association, has trained more than 18000 people both male and female from all over the North Eastern region of India in different disciplines of adventure activities. This course is and introduction to the basics of Mountaineering and focuses on skills that are vital for climbing high altitudes safely and successfully. This course also aims to inculcate self-reliance and independence amongst the youngsters by bringing them to closer to the nature. Aims to enhance satisfaction to through the effective application of the system, including processes for improvement of the system and assurance of conformity. It must be mention here that all the requirements of ISO 9001:2015 are generic and are intended to be applicable to any organization, regardless of its type or size and services it provides.